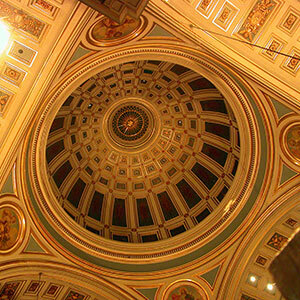 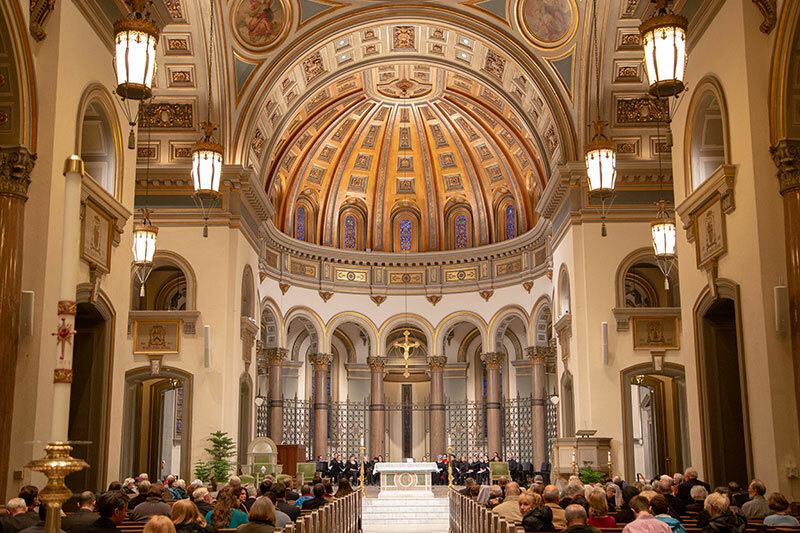 The Arlington and Richmond dioceses invited all to come together for dialogue, prayer with, and for, elected leaders and Virginia on February 12, 2019 at the Cathedral of the Sacred Heart in Richmond. 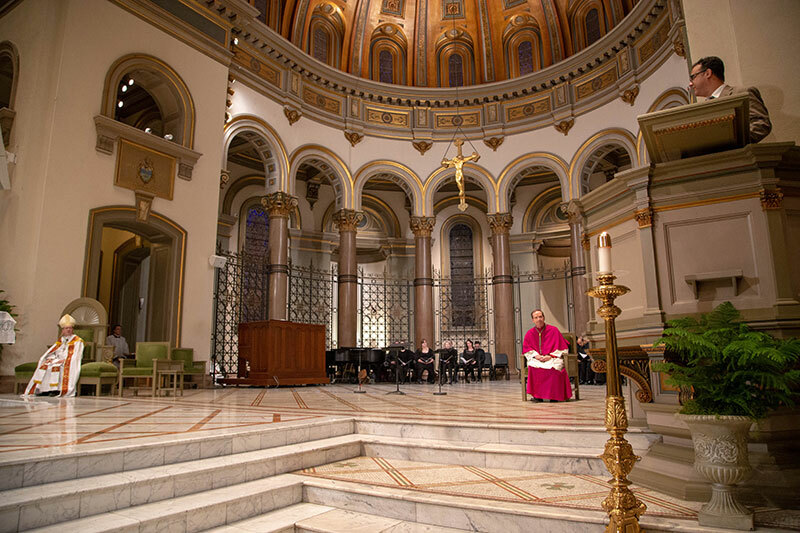 This special evening brought people of all faiths and public leaders together for evening prayer and reflection led by the bishops, followed by a wine and appetizers reception. 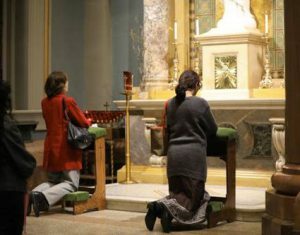 Click the arrows to scroll through the photos below. 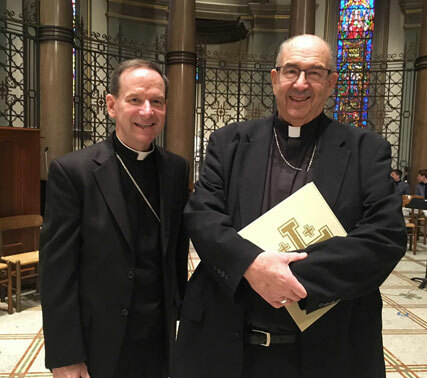 The late Bishop Francis X. DiLorenzo and then-Bishop (now Emeritus) Paul S. Loverde hosted the first-ever prayer liturgy for the needs of the Commonwealth in 2016. 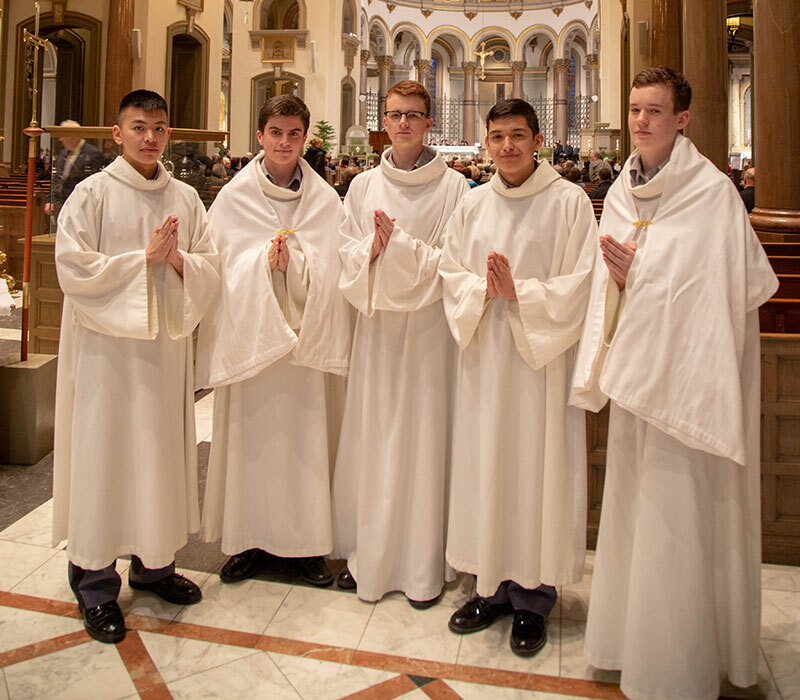 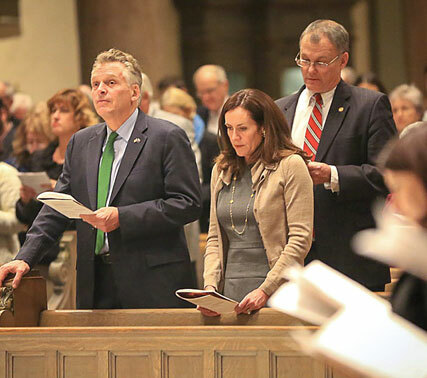 Among the participants that first year were Governor Terry McAuliffe, state legislators, clergy, educators and parishioners – from different parties and other faiths. 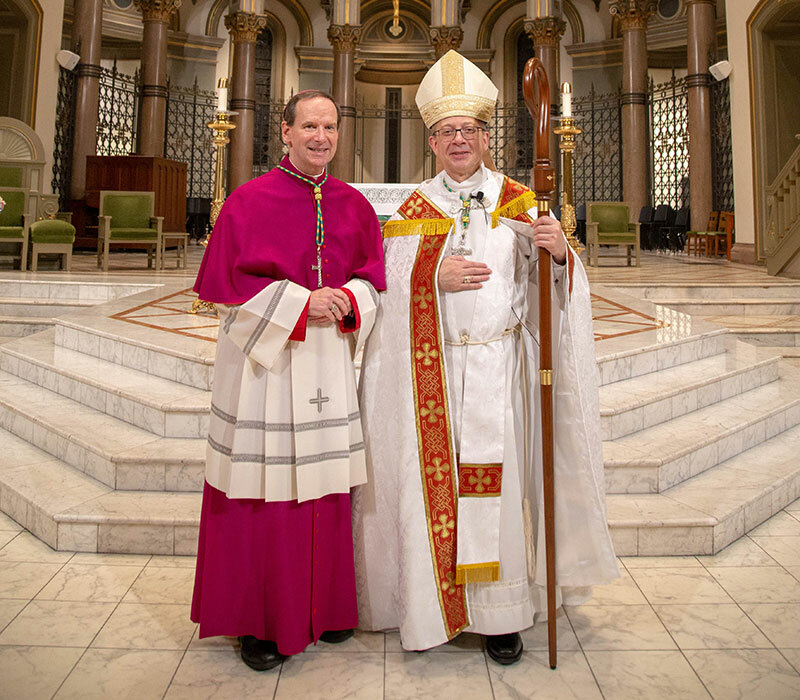 The tradition continued in 2017, with Bishop Michael F. Burbidge joining Bishop DiLorenzo and participants in prayer for Virginia. 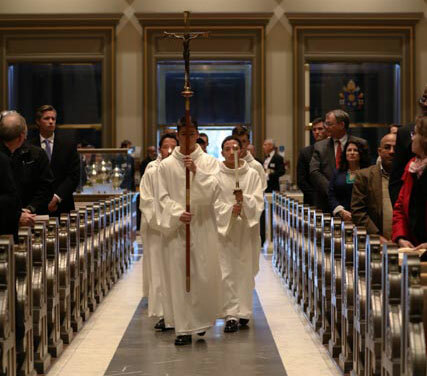 Imagine 700,000 Virginia Catholics standing together for life, justice, family and the common good.